JazzerStephanie: Why Do I Burn So Many Calories? As most of you know, I post my calorie burn up on my Facebook page after every class. A lot of people are baffled or impressed by the amount of calories that I burn in one session. So I figured it was time to give you a little background into the world of JazzerStephanie. At the age of 18 I was diagnosed with severe allergies and asthma. I have spent years in and out of asthma specialists offices to get my lung capacity improved enough to lead a somewhat normal life. Before I started Jazzercise back in 2006 my max lung capacity was at 70% -- this means that I could only fill up 70% of my lungs with air…so for every 1 breath you take, I take two or three--this is not an impressive lung capacity to have. After joining Jazzercise, I had to mess around with various medications and treatments to find something that worked for me to continue Jazzercising. Once I found the perfect balance, I became an instructor in 2009. Since becoming an instructor…my latest pulmonary test indicates that I now have 85% of my lungs! That’s a 15% increase in 3 years!!! So thank you Jazzercise. Now you are saying, that’s great Stephanie…congrats, but what does that have to do with your calorie burn numbers? Whew, I am so glad you asked! Since I only have 85% of my lungs, I still breathe twice as hard as a normal breathing person when exercising. So you add together that I live in Colorado (we barely have any oxygen here), I have severe asthma and I’m talking the whole time I am working out—this equals a much higher heart rate. According to medical professionals my Maximum Heart Rate should not go above 185 BPM. 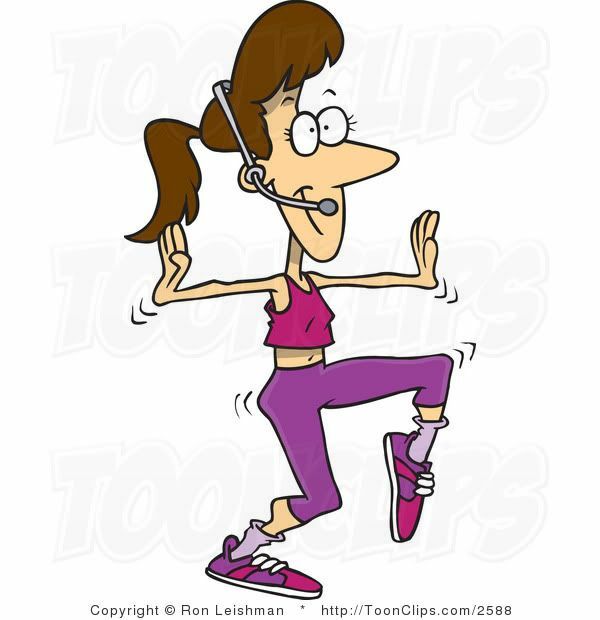 But when I teach Jazzercise, you can almost guarantee that at the top of the Aerobic curve, I am above 185. Yes, I feel fatigued when my heart rate gets that high and I do struggle, that’s why I need to take a moment to breathe catch my breath and the heart rate goes down. The higher heart rate is the reason why my calorie burns are so significant. A normal breathing student (at my height, age & weight) will reach a Max Heart Rate of 180 and burn about 400-500 calories a class. Me, not so much—My Max Heart rate is usually between 187-213 and I burn about 650-800 calories per class (A regular Jazzercise class). So…there you have it. The reason why my workout stats are always so high…but don’t you worry, I always eat back my calories. Ha ha ha.